Shotshell Tray that hold shells 50 each. They are perfect for storing reloads. Built durable and are stackable. They make for a good space saver in your reloading area. They are the trays that fit into the SD-100 and SF-100. They also fit in the discontinued S-100's. They are not designed for the SH-100's. 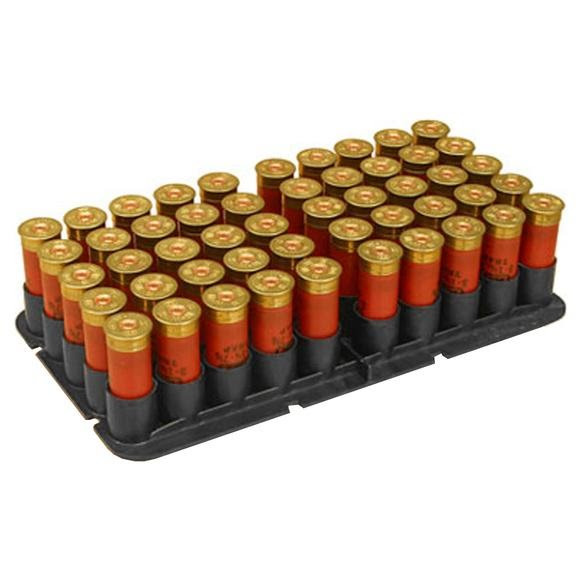 Shotshell Tray that hold shells 50 each. They are perfect for storing reloads. Built durable and are stackable. They make for a good space saver in your reloading area. They are the trays that fit into the SD-100 and SF-100. They also fit in the discontinued S-100&apos;s. They are not designed for the SH-100&apos;s.